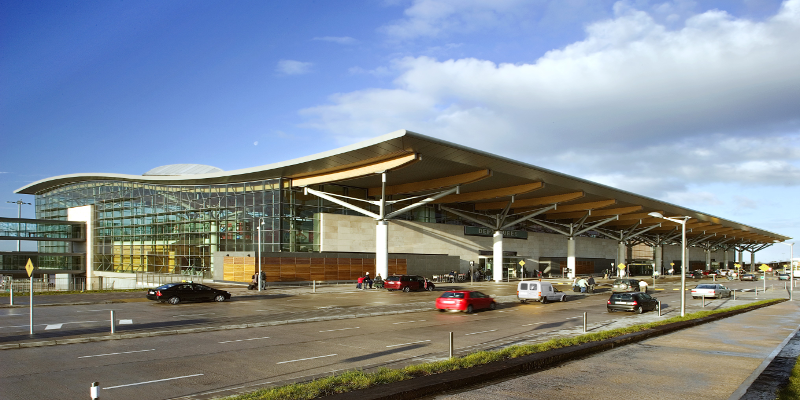 Cork Airport is the primary gateway to Ireland’s south coast region. Though it is the home airport of the largest county and the second largest city in The Republic of Ireland, it also acts as a very important access route to the famous Lakes of Killarney in County Kerry, Waterford Crystal in Waterford City and the world famous Rock of Cashel in County Tipperary. 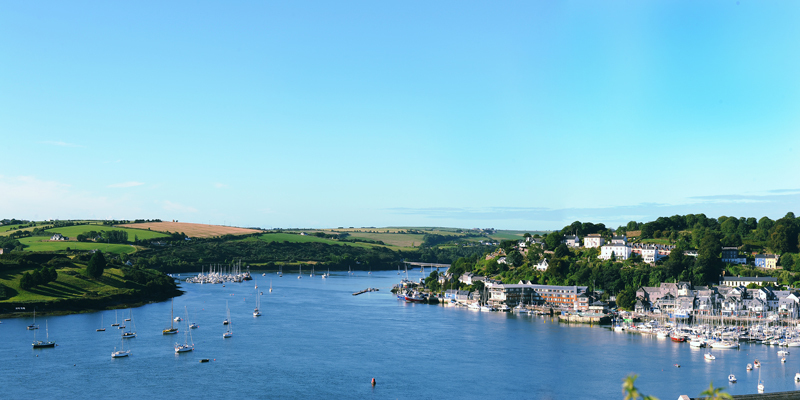 In recent times it has also become the southern access point for the widely acclaimed Wild Atlantic Way* for the town of Kinsale, which is the end point for the Wild Atlantic Way is just a 30 minute drive away. From here, in Cork alone you have 500Kms/350miles of secret harbours, wild peninsulas, tumbledown castles, gourmet food, raucous music and the warmest of welcomes to entertain and enthral you. 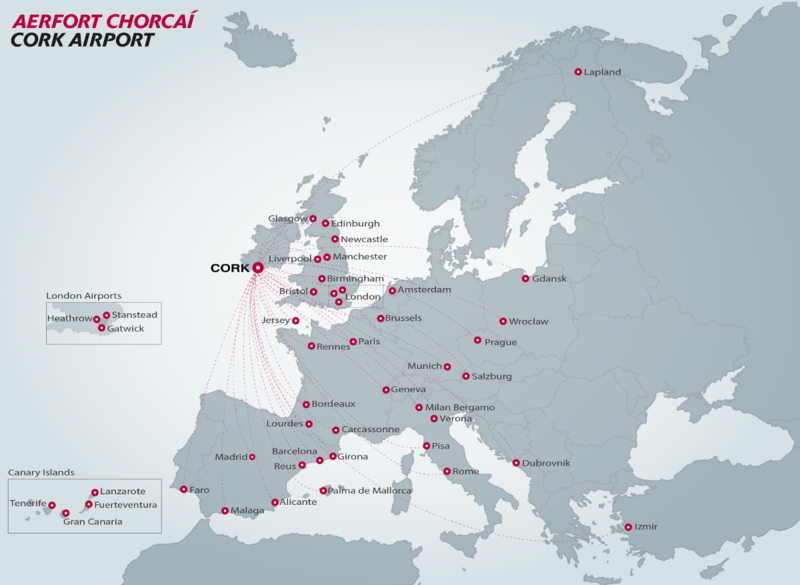 Cork Airport offers a wide choice of connections to the UK and continental Europe at convenient times for leisure and business travellers. For many years the region has managed to keep below the radar of many international travellers but this is changing. More and more people are discovering what this beautiful unspoilt part of the world has to offer with many English, German & Dutch visitors buying homes around the western peninsulas. 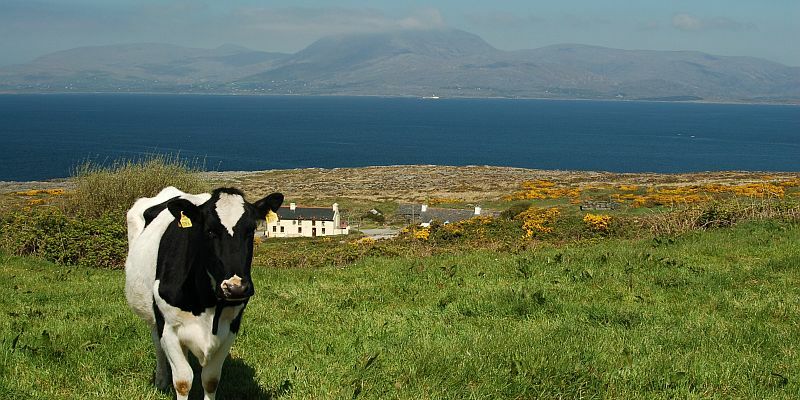 * The Wild Atlantic Way is the longest defined coastal route in the World stretching for 2,500Km’s from Kinsale in the very South of Ireland, to Malin Head in County Donegal. ** Driving times vary considerably as some routes are on motorways, while others are only accessible via smaller single lane country roads. Please contact the airlines directly for all airline enquiries. Aer Lingus (www.aerlingus.com ) Amsterdam, Alicante, Barcelona, Berlin, Birmingham, Faro, Geneva, Lanzarote, Lisbon, Heathrow, Malaga, Manchester, Munich, Nice, Paris, Rome, Tenerife. Ryanair (www.ryanair.com ) Liverpool, Gatwick, Stansted. 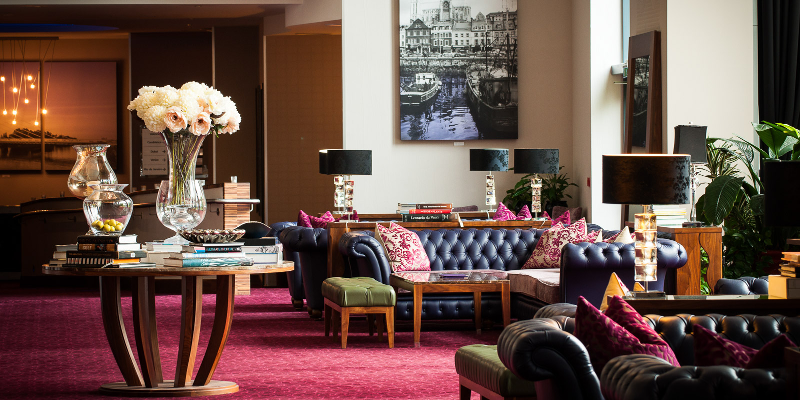 Discovering Cork offers the widest choice and best prices for all types of Cork Accommodation. We offer excellent Cork B&B’s as well as Budget Cork Hostel Accommodation, a range of options that we feel presents something for everybody.